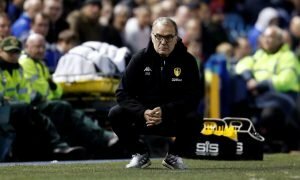 'Make the deal happen' – Plenty of Leeds United fans really want to sign Championship ace | The Transfer Tavern | Where football transfer rumours fly or die! The Leeds fans in the Transfer Tavern are getting their hopes up as the club get nearer to the signing of Derby County’s Matej Vydra. 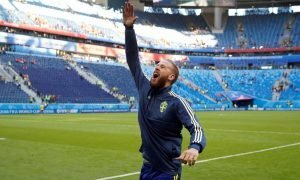 The Czech striker scored an impressive 21 goals and chipped in with four assists in 40 Championship appearances and he could be Elland Road bound. 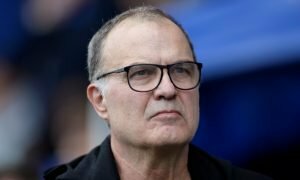 Leeds fans have been lucky enough to see Marcelo Bielsa announced as their new manager and they’ve been pretty excited about it. However, the good news doesn’t look like ending there though and they could be set to prise Vydra from under Frank Lampard’s nose at Pride Park, which would be a big coup for the Whites as they aim for promotion in Bielsa’s first season at the Yorkshire club. Bielsa will be looking to sign some stars this summer and Vydra is just one of a number of players being linked with a switch to the club. Abel Hernandez’s contract at Hull City has expired and he could now be set to sign under Bielsa. Meanwhile, Swansea City’s Kyle Bartley could be returning to the club on a permanent basis after spending the 2016/17 season on-loan at the club. The Leeds fans in the Tavern will be delighted if the club can secure the signing of Vydra as they continue to be optimistic ahead of the new Premier League season.